Penaeus vannamei farmed in Belize were found with symptoms of white and opaque lesions in the tail muscle since 2004. The clinical signs are similar to those of shrimp infected by IMNV. After investigation of Dr. Kathy F. J. Tang, that causes muscle necrosis was found in Penaeus vannamei was confirmed PvNV (Penaeus vannamei nodavirus) - a nodavirus. Despite low mortality caused by PvNV was observed, infection with this virus resulted in a 50% reduction in production in some ponds at the affected farm. With certain experiments done by Dr. Tang, it is confirmed that both P. vannamei and P. monodon are susceptible to PvNV infection. However, the transmission pathway is not clear and related researches are undergoing till today. A diagnostic method has been developed by Dr. Tang et al. of Department of Veterinary Science and Microbiology, University of Arizona. Following technology transferring process, GeneReach has successfully made IQ2000™ PvNV Prevention and Detection System available to the public. It is useful for confirming the causation of similar symptom caused by which viruses or improper pond management effectively and rapidly. This system has adopted the design of nested PCR and also inherited the reliability, sensitivity and experience from a range of IQ2000™ virus diagnostic kits for shrimp and fish virus infections. Its unique semi-quantitative function provides information of virus infection levels which could be used for further research on PvNV. Quantitative capability: 3 different levels of infection can be differentiated. Sample throughput: for 40 samples, from sample preparation to final results require 4.5 to 5 hours. Built-in internal control system: eliminate false negative results from failed extraction or reaction. Quantified positive standard: monitor the sensitivity of detection. 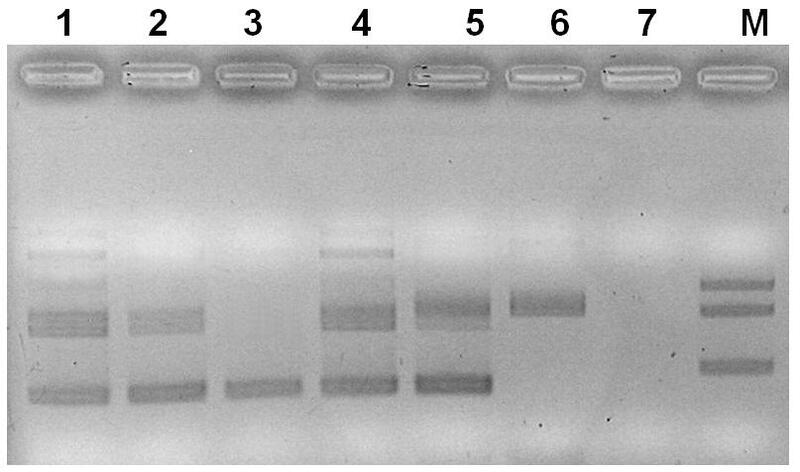 Adaptable to the Uni-IQ RT-PCR profile, suitable for multi-viral diagnosis. This reagent is intended for testing fresh, frozen, and ethanol-preserved samples, e.g. PL and gill. Ideal for the specific pathogen-free (SPF) animal selection, evaluation of culture environment, grow-out monitoring, and quarantine service.